The Simien Mountains National Park in Northern Ethiopia is an exotic setting with unique wildlife and breath-taking views on a landscape shaped by nature and traditional agriculture. 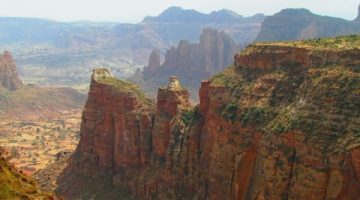 The natural beauties of this region have always filled visitors from Ethiopia and abroad with awe. 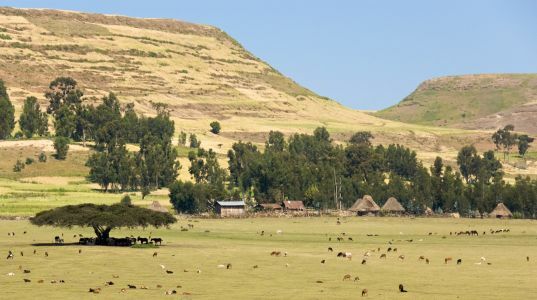 Gentle highland ridges at altitudes above 3600 meters above sea level covered with grasses, isolated trees, and the bizarre Giant Lobelia are found on the high plateau that ends abruptly at 1000- to 2000-m deep escarpments. The Semien Mountains and includes Ras Dashan, the highest point in Ethiopia. 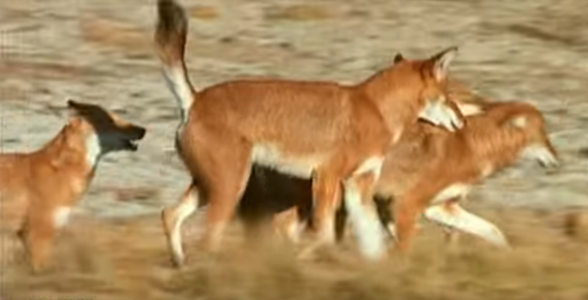 It is home to a number of endangered species, including the Ethiopian wolf and the Walia ibex, a wild goat found nowhere else in the world. 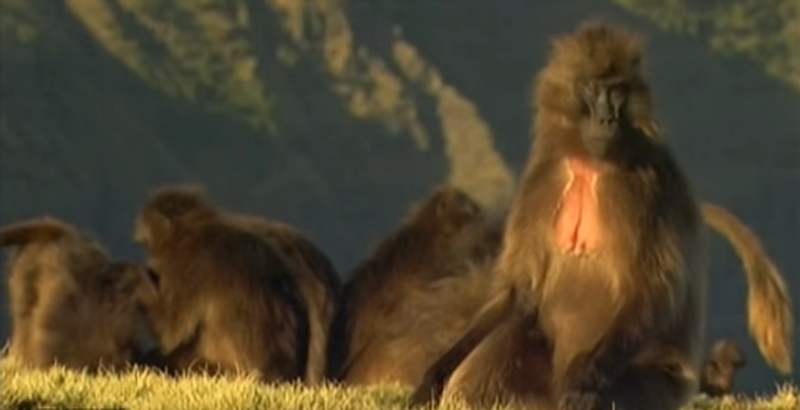 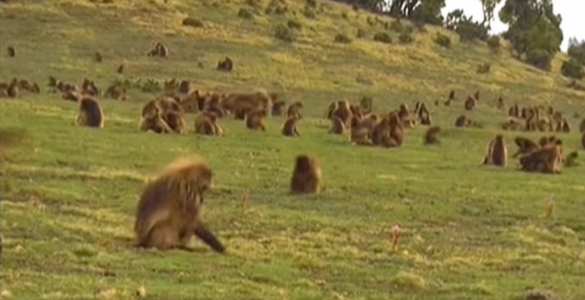 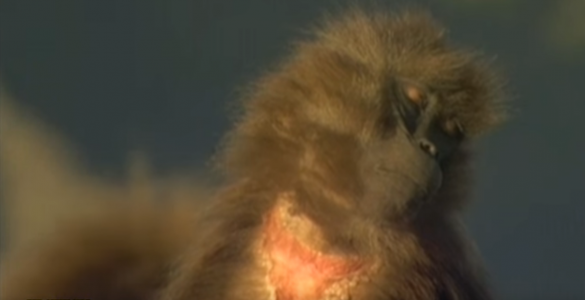 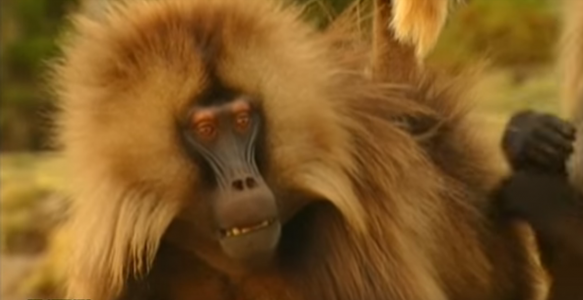 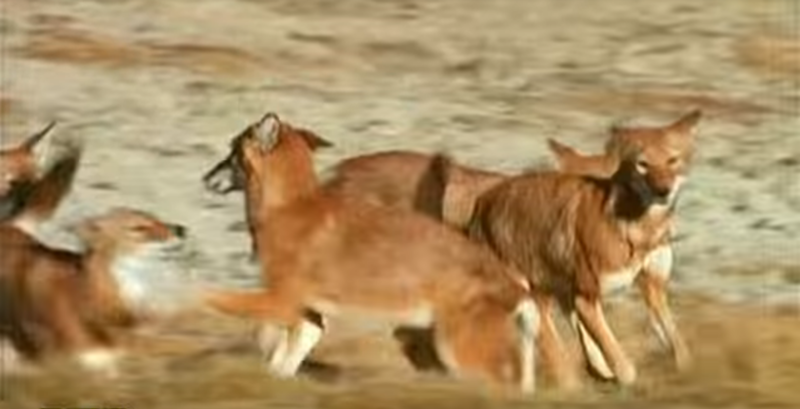 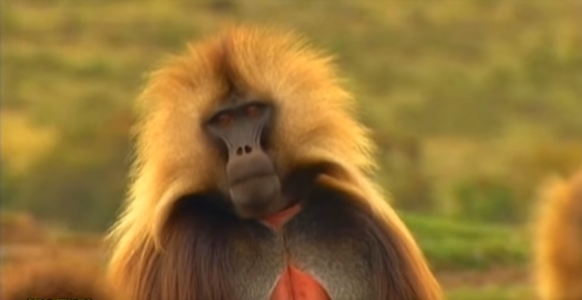 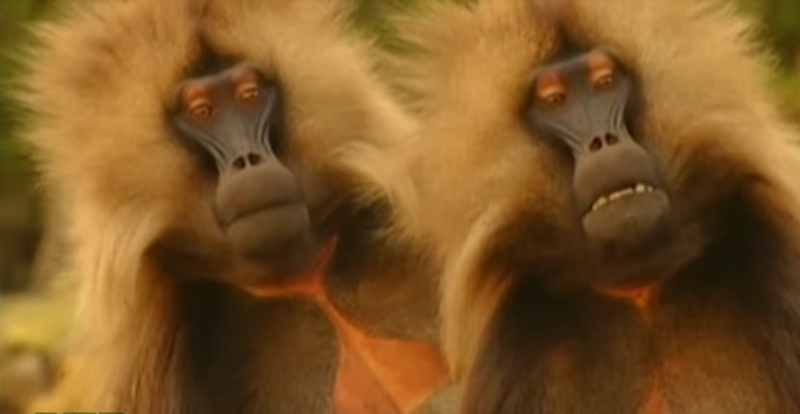 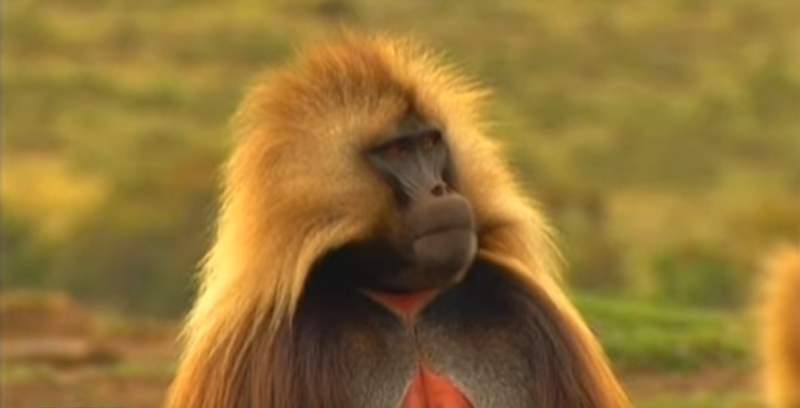 The gelada baboon and the caracal cat also can be seen in the Simien Mountains. 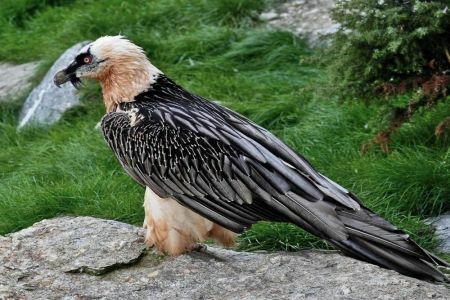 More than 50 species of birds inhabit the park, including the impressively bearded vulture, or lammergeier, with its 10-foot (3 m) wingspan. 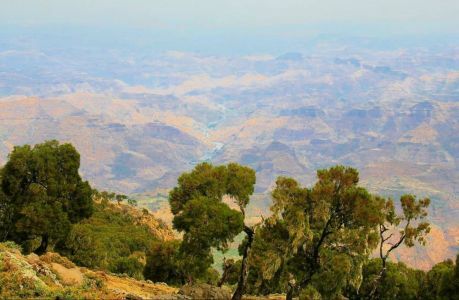 The park is crossed by an unpaved road which runs from Debarq, where the administrative headquarters of the park is located, east through a number of villages to the Buahit Pass (4,200 m), where the road turns south to end at Mekane Berhan, 10 kilometers beyond the park boundary. Geologically speaking, the entire Highlands of the Simien mountains consist of dark Trapp basalt and bright, soft turf. 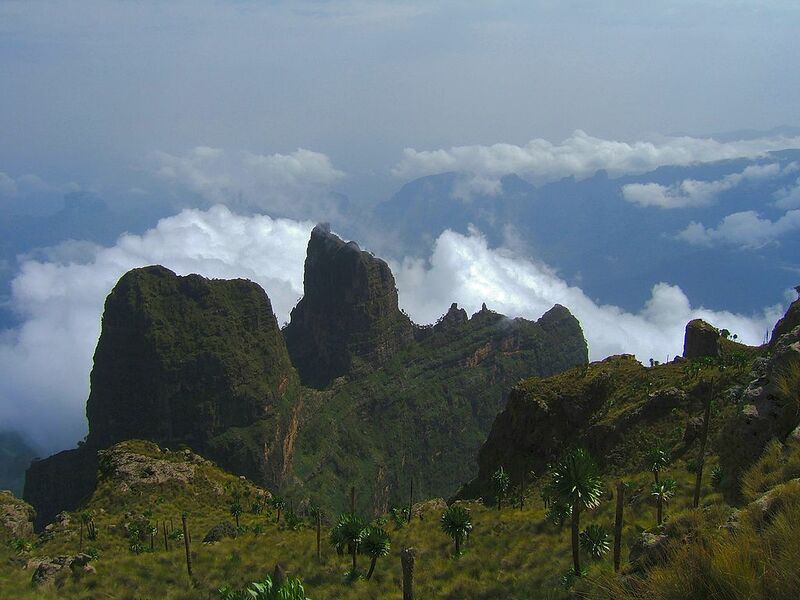 They alternate and constitute a massive complex that is more than 3000 m thick. 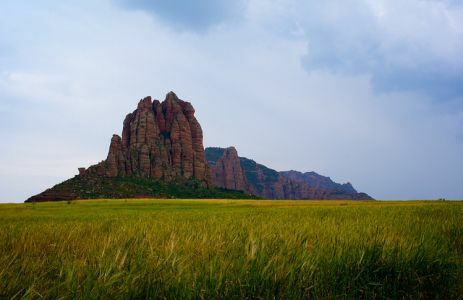 This complex was formed by volcanic eruptions in the Tertiary Oligocene-Miocene Age some 20-30 million years ago; ever since it has been going through processes of uplifting and erosion. 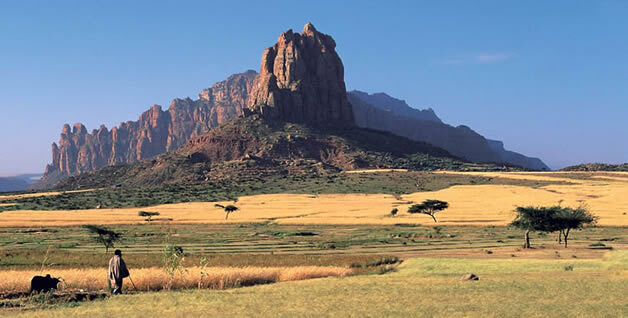 The Semien region has been inhabited and cultivated for at least 3,000 years. 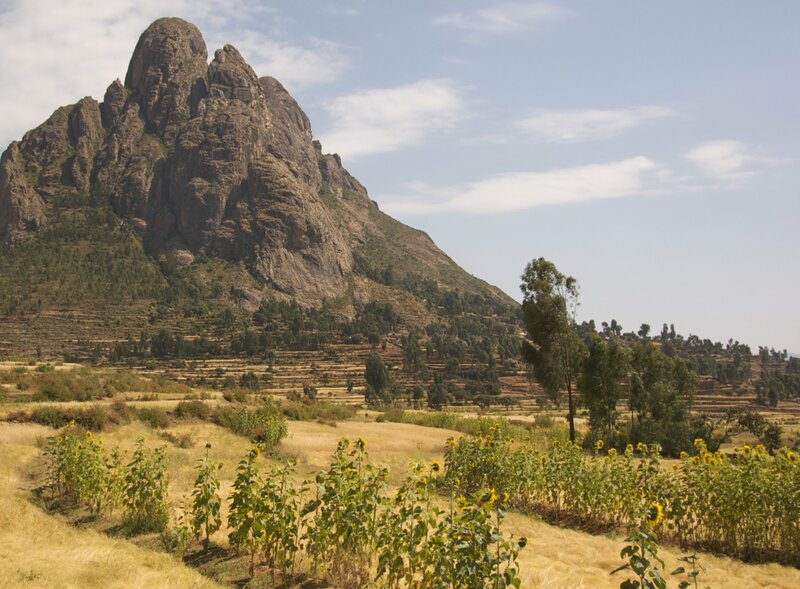 Today, it is surrounded by a cultural district called Gondar, and over 100 hand-carved stone pillars are found. 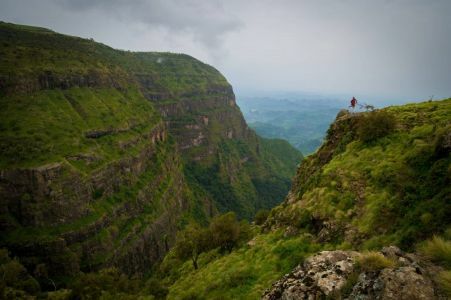 The undulating plateau of the Simien mountains has over millions of years been eroded to form precipitous cliffs and deep gorges of exceptional natural beauty. 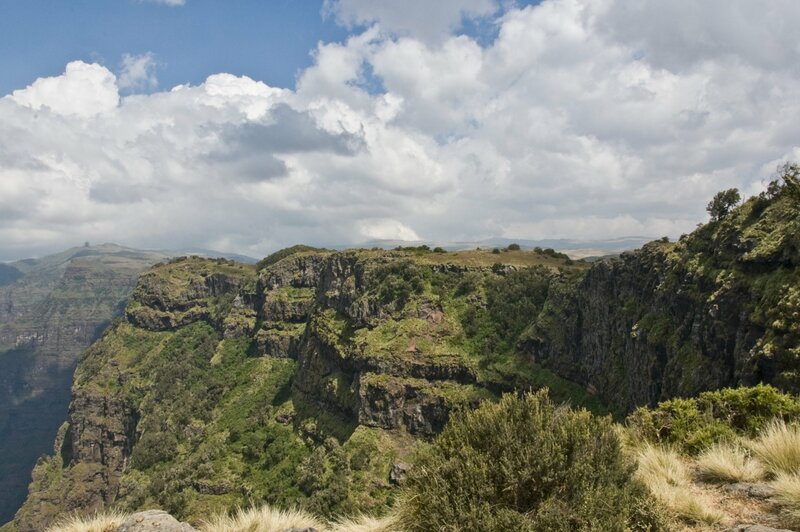 Some cliffs reach 1,500 m in height and the northern cliff wall extends for some 35 km. The mountains are bounded by deep valleys to the north, east and south, and offer vast vistas over the rugged-canyon like lowlands below. 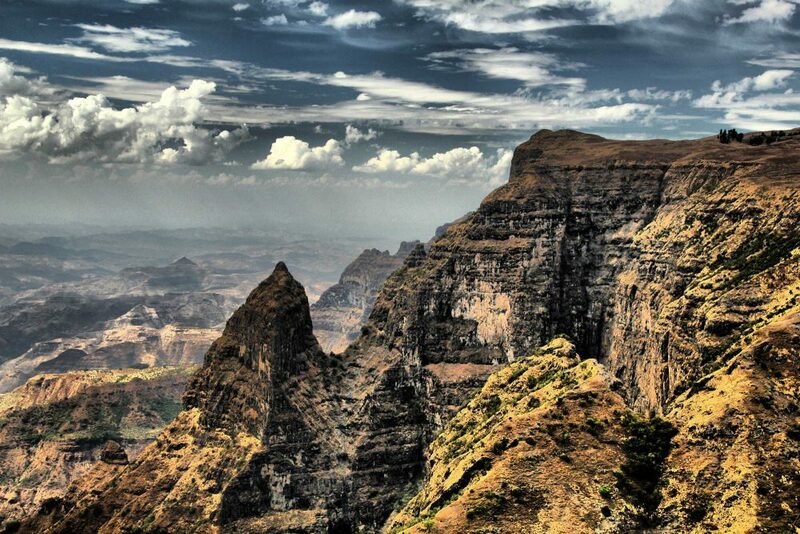 The spectacular scenery of the Simien mountains is considered to rival Colorado’s Grand Canyon. It forms part of the Afroalpine Centre of Plant Diversity and the Eastern Afromontane biodiversity hotspot, and it is home to a number of globally threatened species. 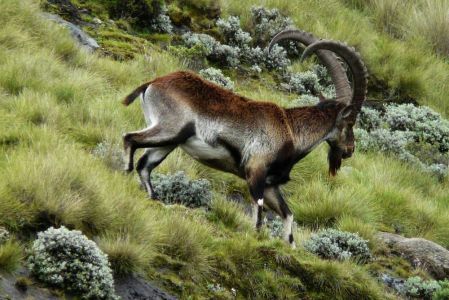 The cliff areas of the park are the main habitat of the Endangered Walia ibex, a wild mountain goat which is endemic to the Simien Mountains. 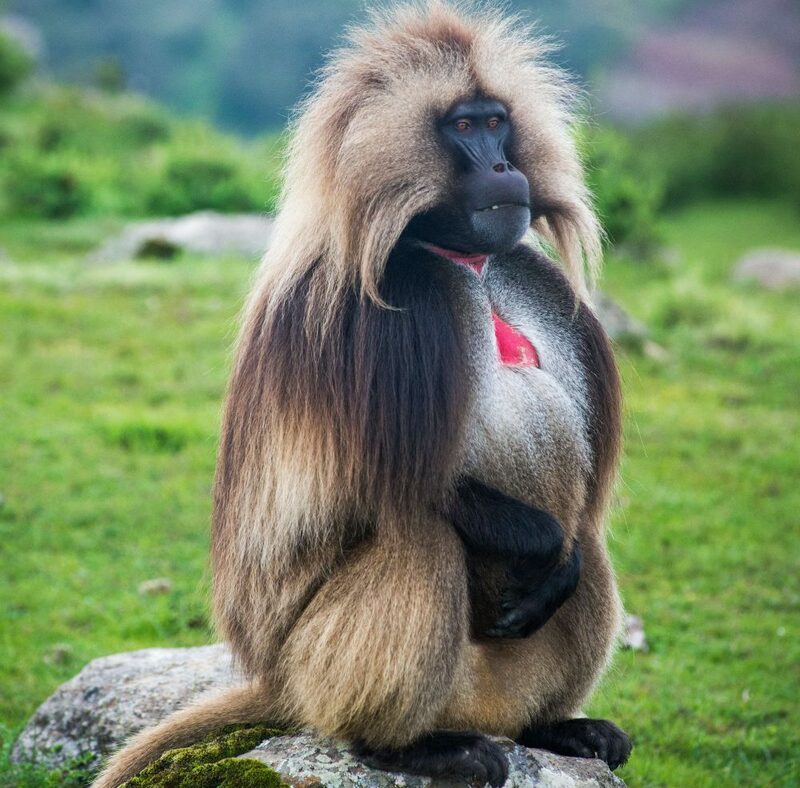 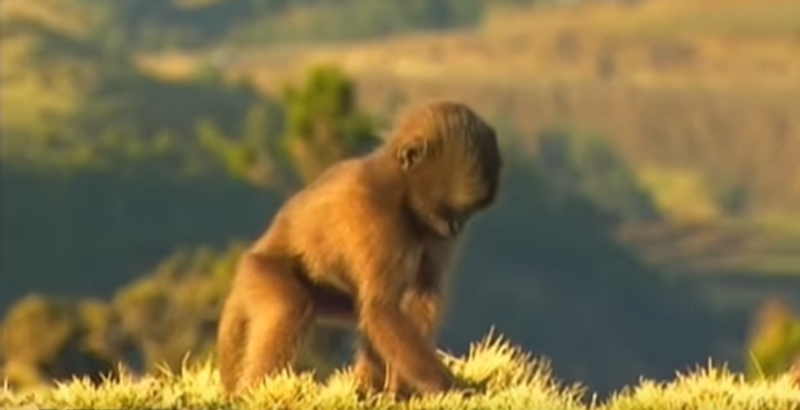 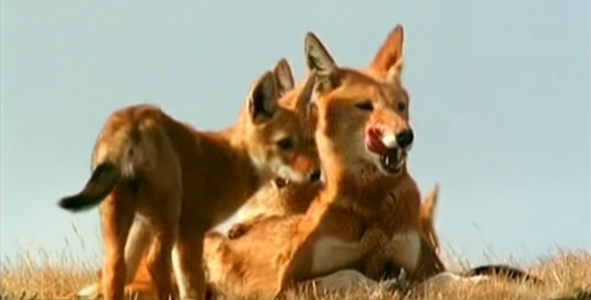 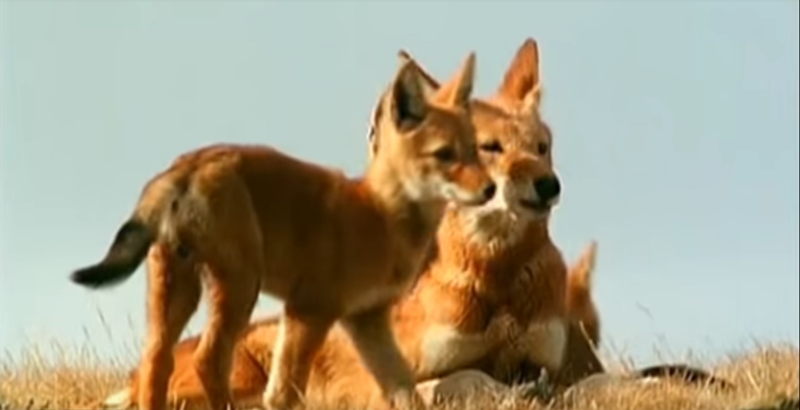 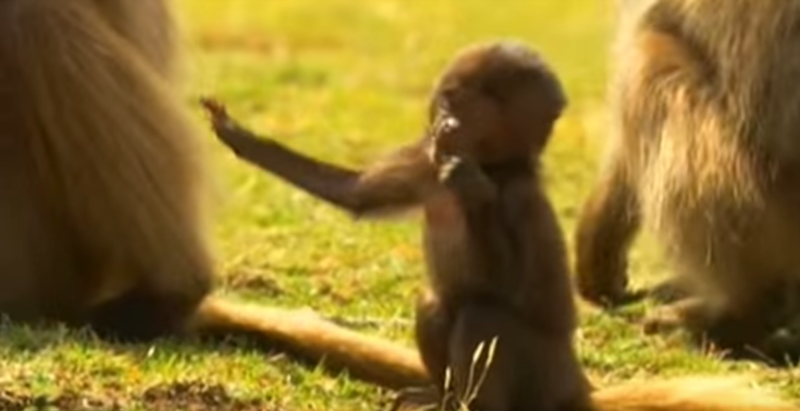 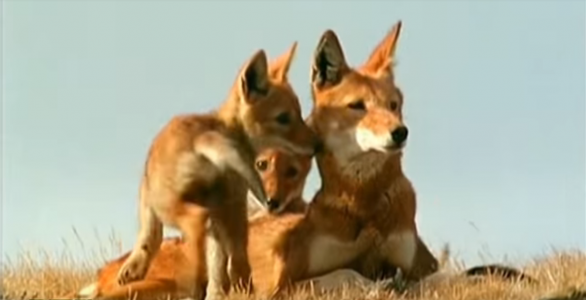 Other flagship species include the Endangered Ethiopian wolf (or Simien fox), considered to be the rarest canid species in the world and the Gelada baboon (Theropithecus gelada), both of which are endemic to the Ethiopian highlands and depend on Afroalpine grasslands and heathlands. 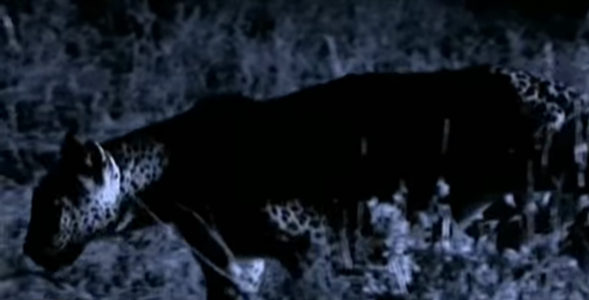 Other large mammal species include the Anubis baboon, Hamadryas baboon, klipspringer, and golden jackal. 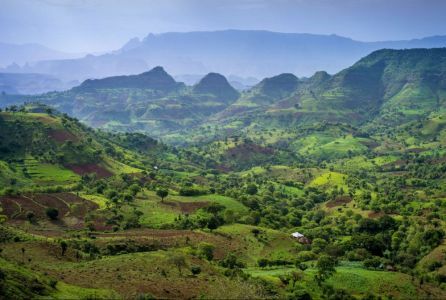 The park is also an Important Bird Area that forms part of the larger Endemic Bird Area of the Central Ethiopian Highlands. In total, over 20 large mammal species and over 130 bird species occur in the park. 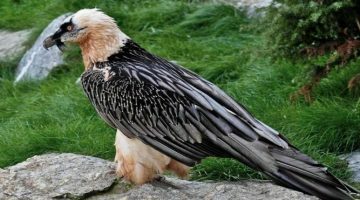 The mountains are home to 5 small mammal species and 16 bird species endemic to Eritrea and/or Ethiopia as well as an important population of the rare lammergeyer, a spectacular vulture species. 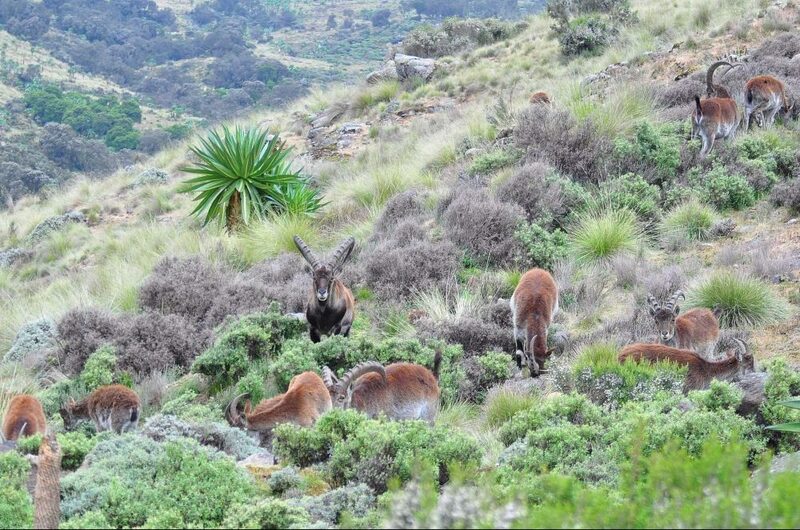 The park’s richness in species and habitats is a result of its great altitudinal, topographic and climatic diversity, which have shaped its Afromontane and Afroalpine ecosystems. It was established as a national park in 1969 and is protected under the National Reserve Act. 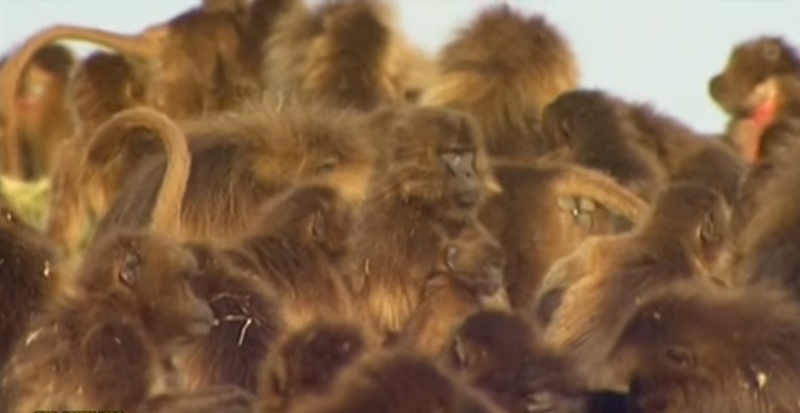 Current heritage requires effective management. 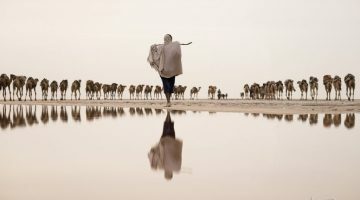 The number of management staff should be increased and education should be strengthened. The management of national parks effectively protects the representative species of parks and works closely with local residents to reduce the pressure on park resources by expanding arable land, overfishing livestock, and overcapacity of natural resources. Due to global climate change, pressure on heritage sites is growing. 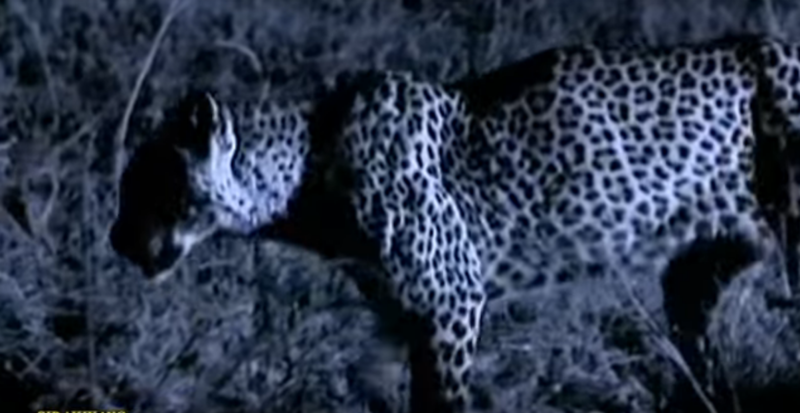 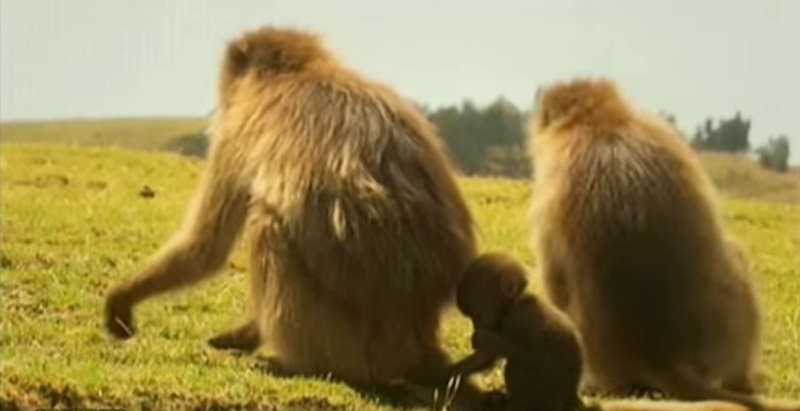 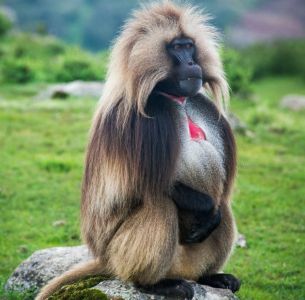 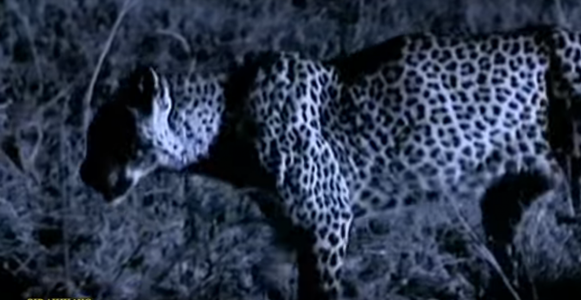 The Simien Mountains National Park is located in Northern part of Ethiopia is an exotic setting with unique wildlife and breath-taking views on a landscape shaped by nature and traditional agriculture. The natural beauties of this region have always filled visitors from Ethiopia and abroad with awe. 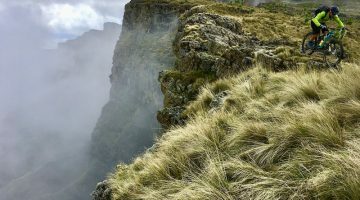 Gentle highland ridges at altitudes above 3600 meters above sea level covered with grasses, isolated trees, and the bizarre Giant Lobelia are found on the high plateau that ends abruptly at 1000- to 2000-m deep escarpments.